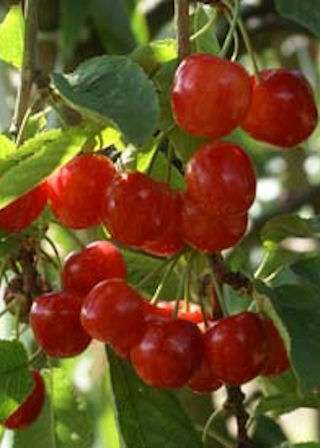 Ready for picking in late July, the large, pale yellow fruits are flushed with crimson. Firm, but juicy fruits, with a very good flavour. Pollinate with: Amber Heart, Bradbourne Black or Napolean Bigarreau.